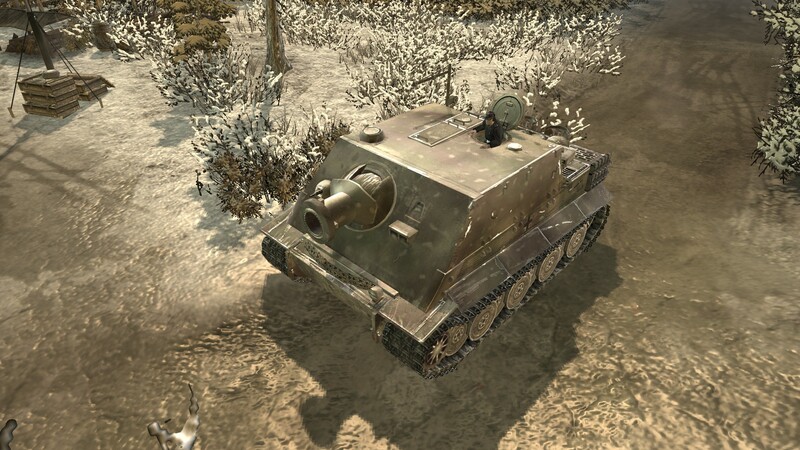 This weekend we have to show another reward tree, but this time is for the Wehrmacht faction and replaces the Blitzkrieg Doctrine tree. We've planned to show the second reward tree for Ostheer, however, we couldn't have it ready for today and instead we present you this one. Enjoy it! 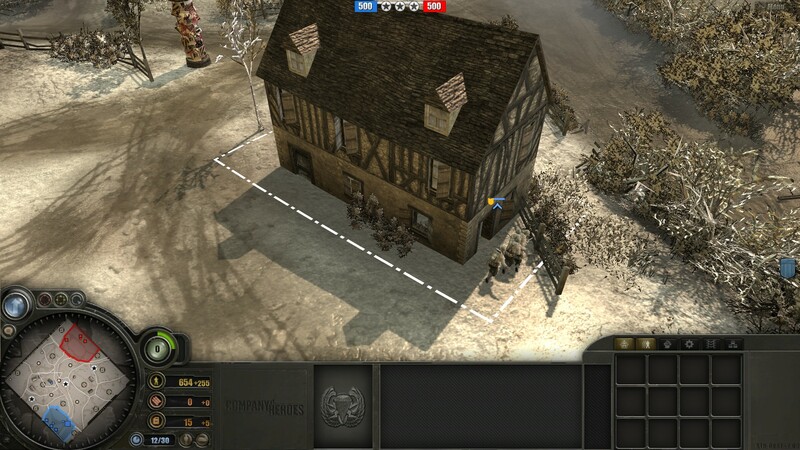 Forward Headquarters are cheaper to create from neutral buildings when this upgrade is unlocked from the tree. 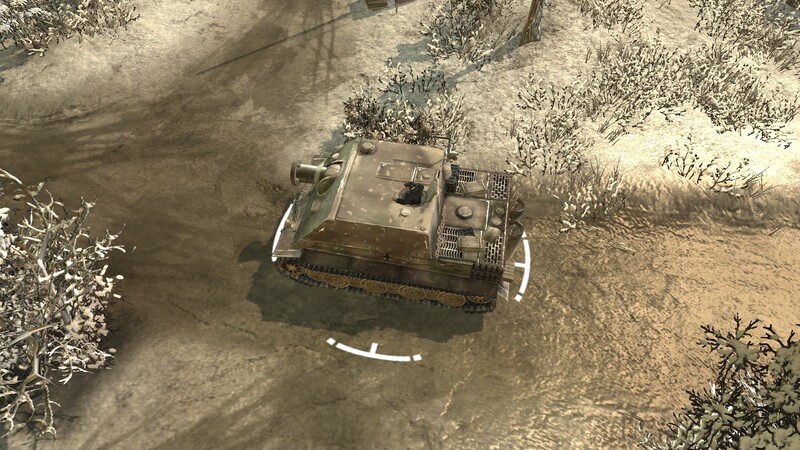 A Wehrmacht player will surely use this feature wisely. 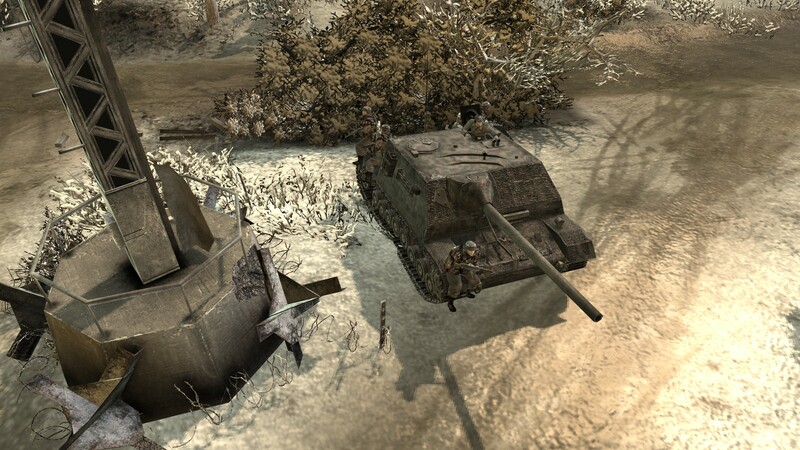 Mobilize reinforcements for the combat, the commander will receive a squad of Sturmgrenadiers(close combat elite infantry) and a Panzer IV/70 "Alket" (aka Jagdpanzer IV L/70(A)). 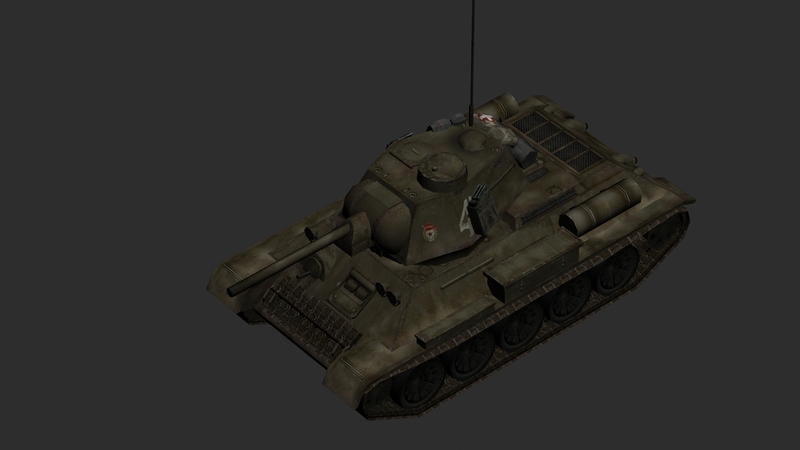 They will enter the battlefield riding in the self-propelled unit. 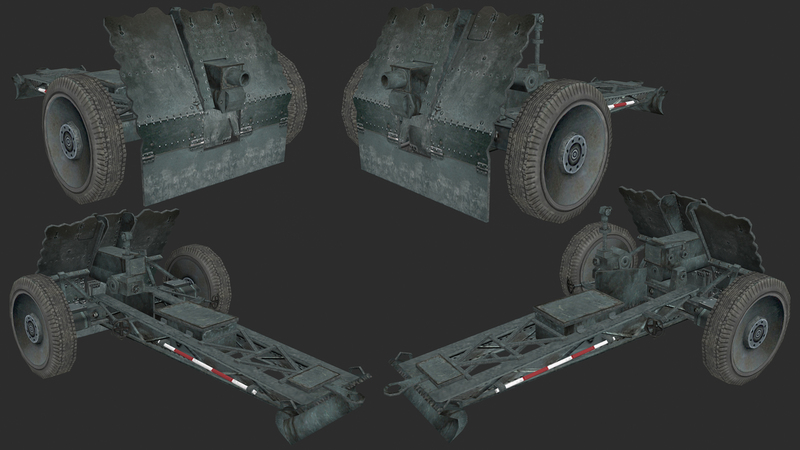 This Jagdpanzer comes with four different random textures. 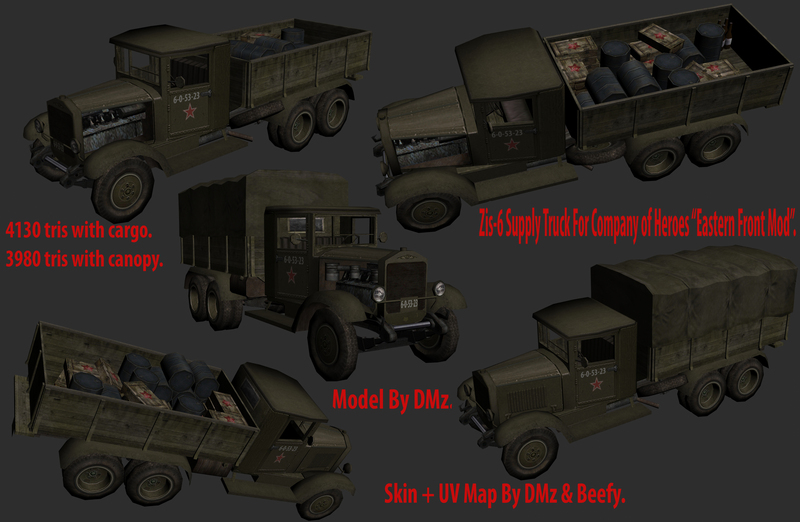 Model courtesy of DMz and Beefy. 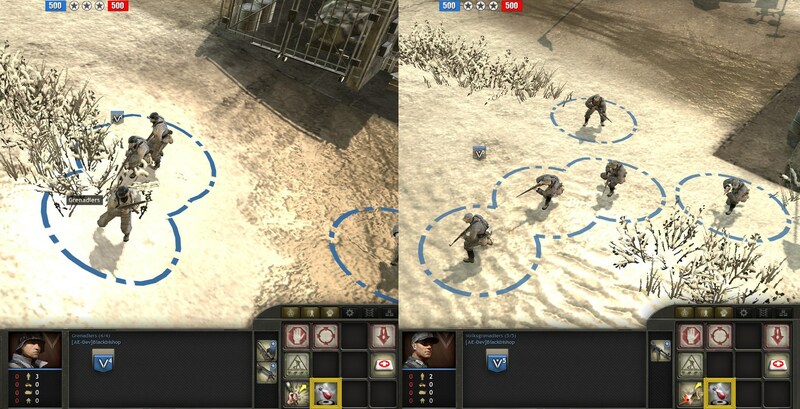 This targeted ability will make the infantry squads more resilant to enemy damage. 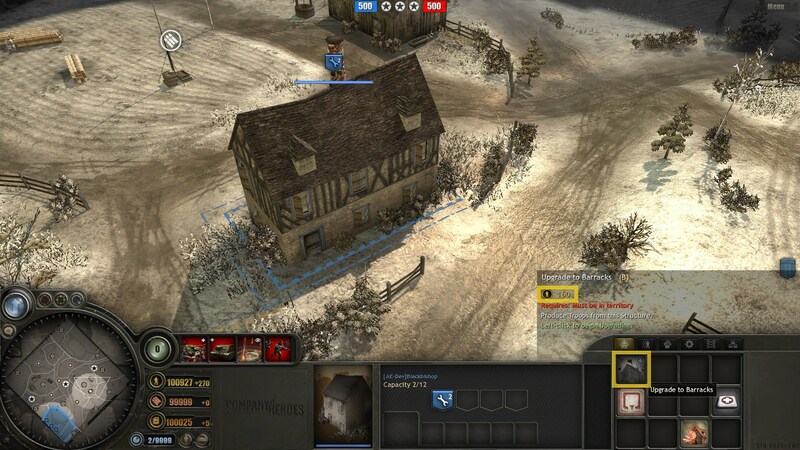 The infantry units in a radius of 20m will get a 50% reduction for received damage, received accuracy and received suppression. 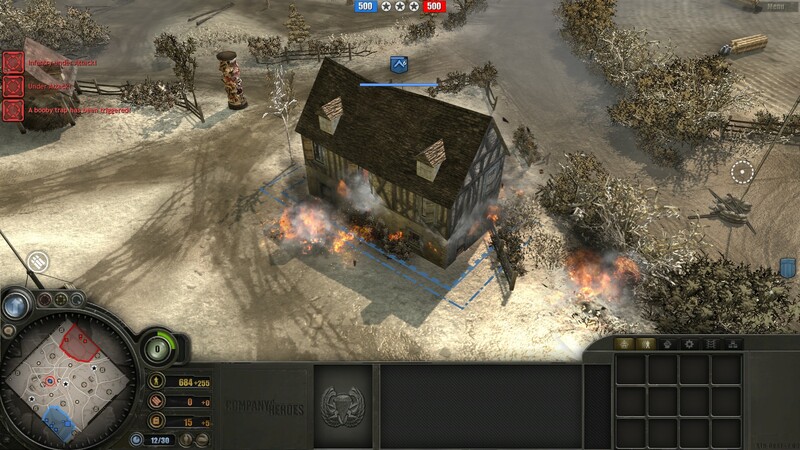 Volksgrenadiers, Grenadiers, Knight Cross Holders and Sturmgrenadiers receive the ability to throw Blendkorper 2H smoke grenades. 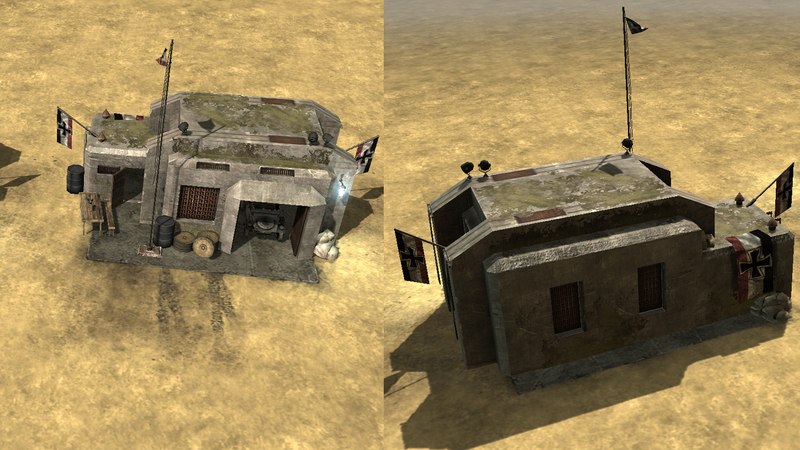 These grenades stun the enemy armour for a small amount of time and then lower its accuracy for a few seconds. 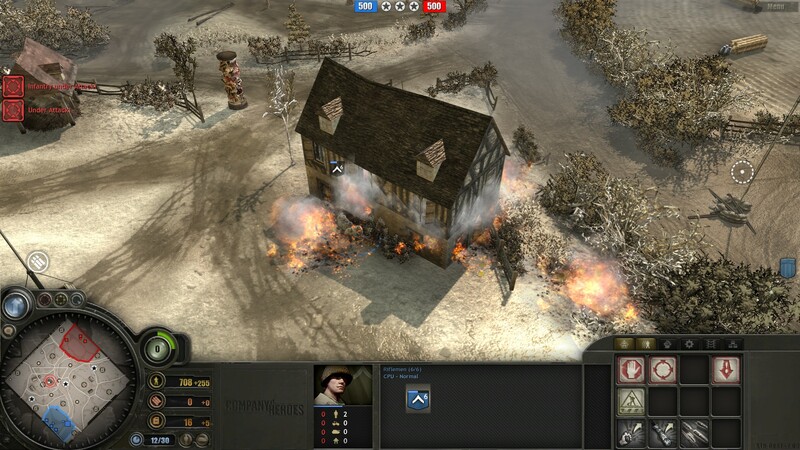 Unlocks the Flare ability(50 MU), which let you peek at non-allied territory for a short period of time and Pioneers can lay incendiary traps in buildings. 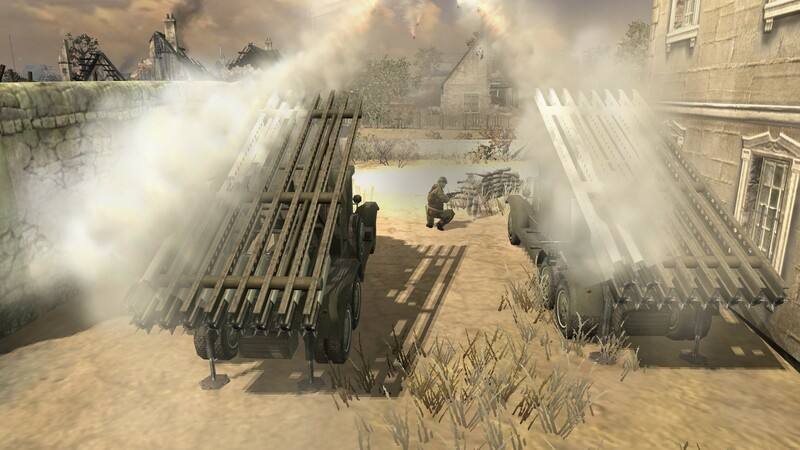 The flare ability will help to target areas unreachable due to fog of war and if you combine it with your artillery units, they'll have better precision due to the lack of fog. 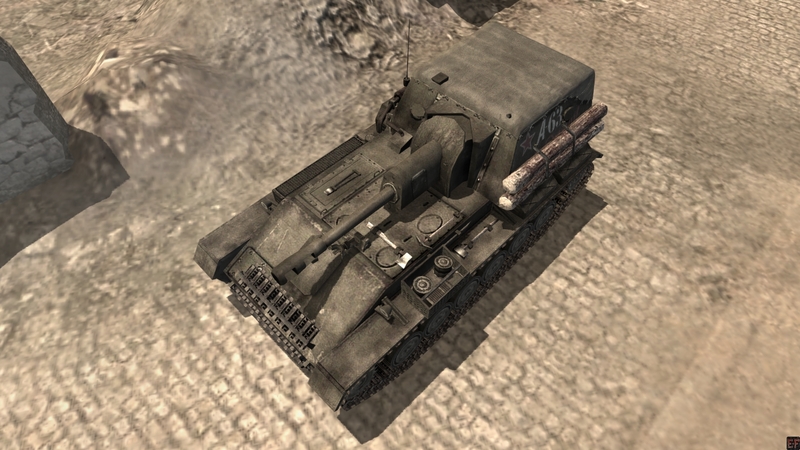 Request the support of the unique Sturmpanzer VI, which fires 380mm rockets and it is based on the Tiger tank chassis. 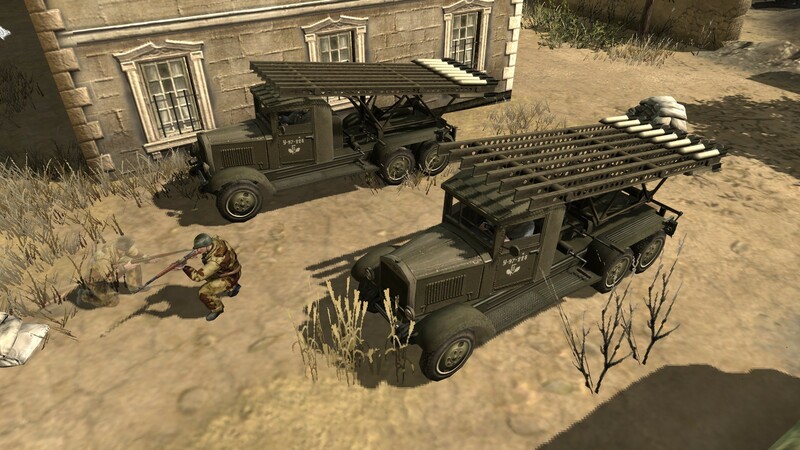 This unit needs to be locked down to fire, and due to the massive type of ammunition it uses, the vehicles needs two minutes to cooldown and prepare the next rocket to be launched. 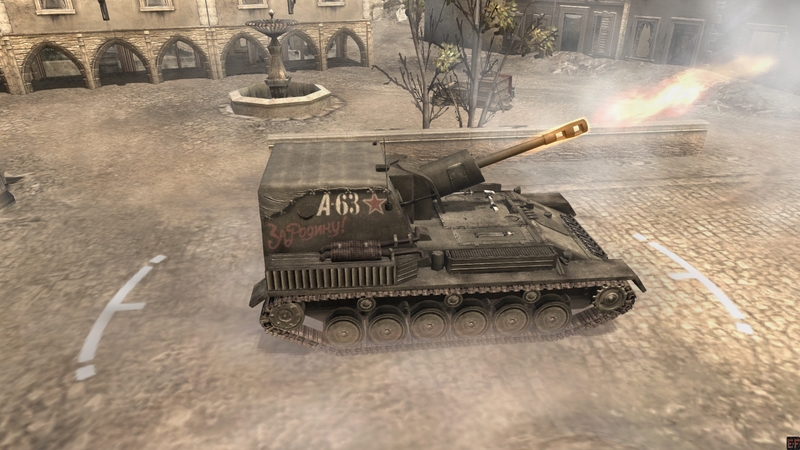 Due to how rare these units and it's ammunition are, only one can be used in the field at a given time and it cannot fire in the fog of war, so the flare ability might come handy. Model courtesy of Halftrack and Tankdestroyer. We are still testing the tree, so there is a chance of stuff being moved or replaced. For now is all we have to show, if you have any comment or tip please let us know by writting a comment here. Announcements / Looking for balancing players! Announcements / Christmas Contest Starts! Christmas is just a few days away, so we have planned to make a contest and give away some free games. We did a similar event last year, but this one is more ambitious, because we have a lot of games to give away! The first eight people than send a PM to the thread's creator with the identity of the thing depicted in the blurred picture will earn a key from one game on the list. The game to get it is up to the winner and the one who send first a PM with the right answer is who gets served first. This contest will have ten rounds and once the current picture got it's eight winners another one will be posted, so you need to stay tunned! Once the picture is changed we will also post the normal version of it, so everyone knows really what it is. 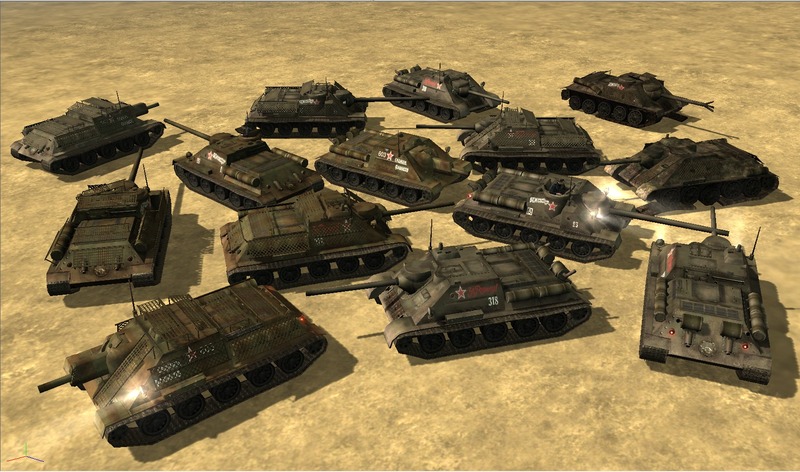 Everyone can join in this event, just remember to have a registered account in our forums. So, good luck to all the contestants. Meanwhile, if you haven't voted in the Mod of the Year 2014 event, feel free to do it. If you want to vote for this mod(or for other one) and you don't know how you can follow these steps (and if you want for other mod then replace EF with the mod of your preference). And remember to vote using your ModDB account. It has been almost four months of silence, so we decided to make an announcement, to tell you what's going on on the mod. 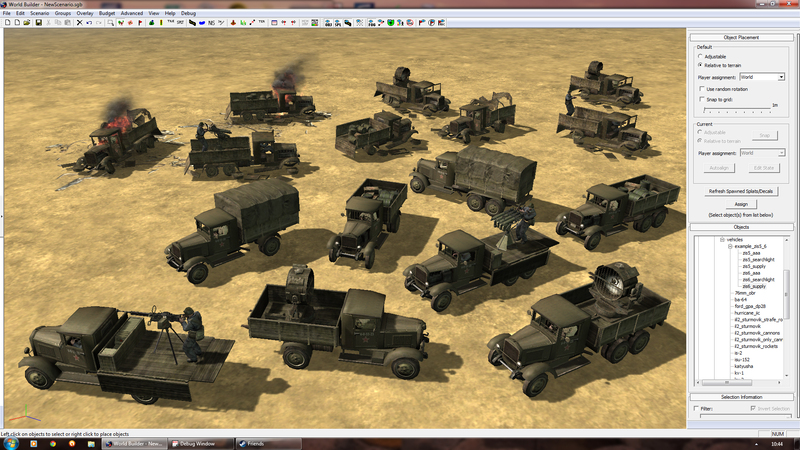 But rest assured, as usual, we haven't stopped working on the mod regardless of our lack of announcements. 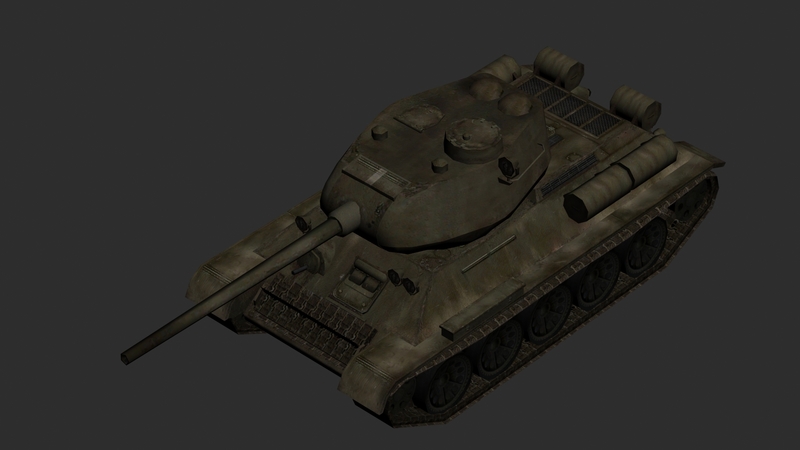 * T-60: As we have commented many times, now the T-90 is replaced by a T-60 light tank. 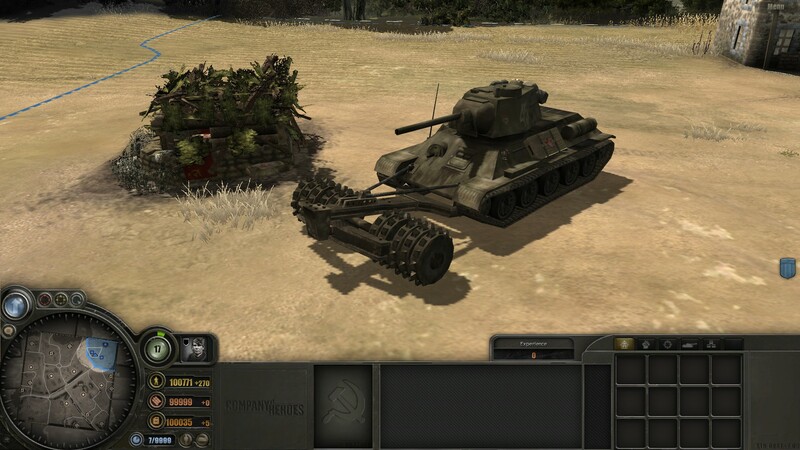 It is a more solid unit for the Soviets than the previous one and there is more to it, but it will be a surprise until you play the new version. The texture is not final. 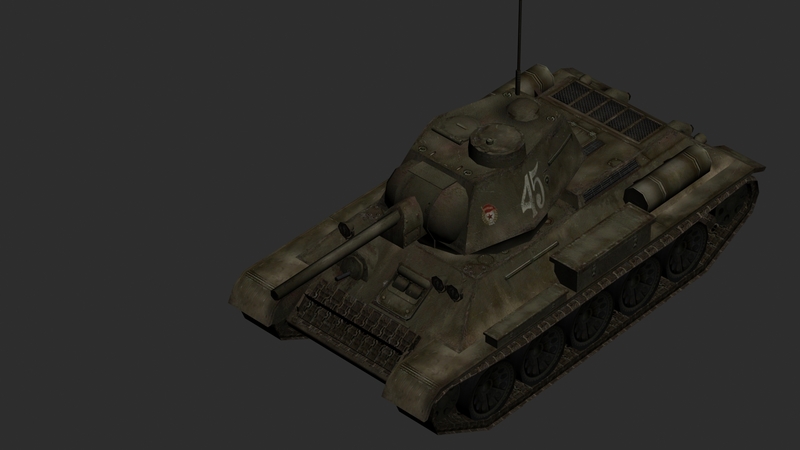 * T-34 variants: We are close to finish this new model, hopefully it will be ready by January thanks to the efforts of DMz and Beefy^. 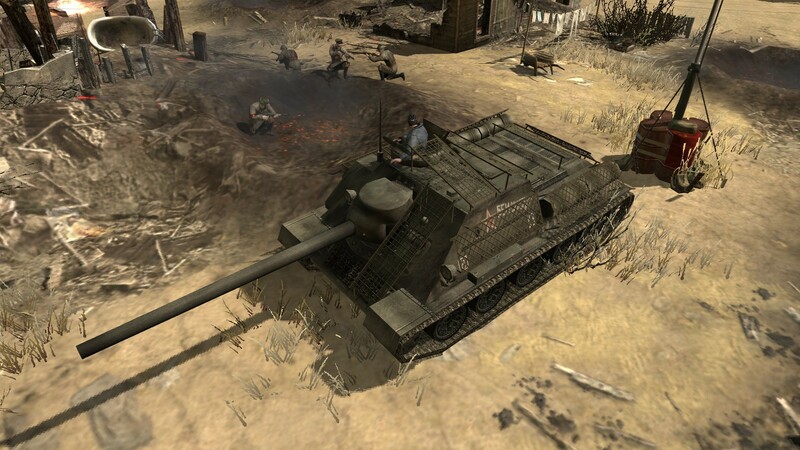 As you know, both will have access to cage armour (the requirements are still up to discussion), the flamethrower upgrade and will still be able to carry an infantry squad (unless you purchase the cage armour, then it can't carry anyone). 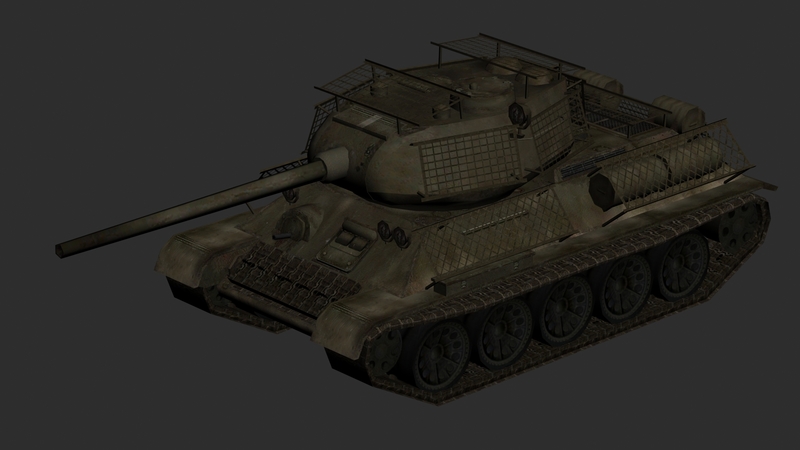 * SU-85 & SU-100: This model still needs a bit of work, but we expect it will be done before we launch the Steam version. 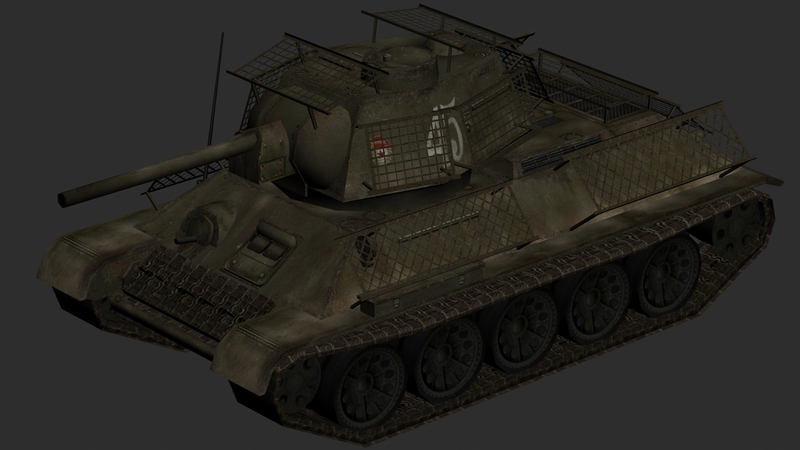 It will feature the old cage armour upgrade (most likely it's requirements will match with T-34's upgrade) and it will be able to transport infantry just like the T-34 units (except when you get cage armour). 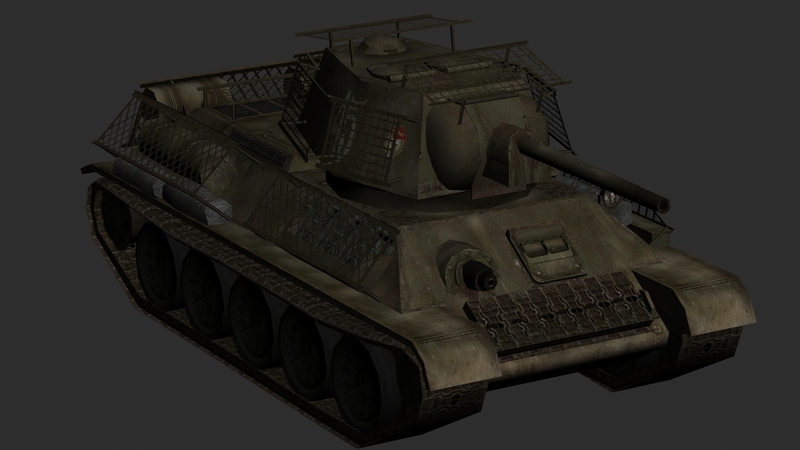 * 75 mm leichtes Infanteriegeschütz 18 (aka leIG 18): Burro has made a new model for this weapon, and it will be properly animated by Walki. 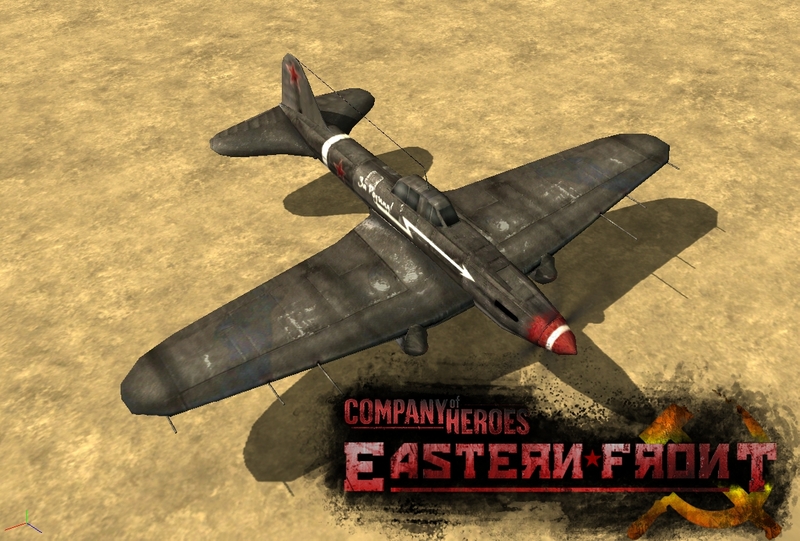 Thanks to the feedback given, we have tweaked Ostheer and Soviets and the balance is better... it will be up to you guys to judge that when playing though. It really helps us when balance issues are discussed in the public section, so we are looking forward to more balance discussions in the near future. 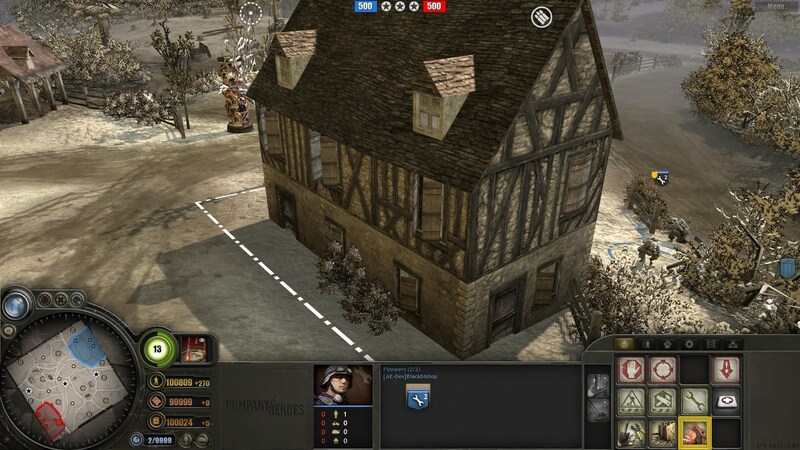 Also, I would like to ask, if possible, for players to submit PvP replays of Ostheer vs Commonwealth. 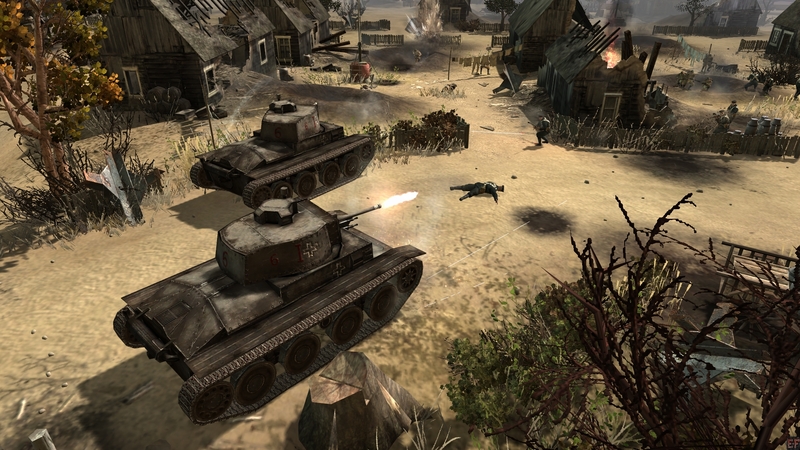 This is to improve the balance between those factions; Brits are known to be disliked by a lot of the CoH community, however, as they are part of CoH and Relic worked to balance them against their factions, it is our duty to make these scenarios more balanced. We are not dead on that matter, if you probably think it has past a lot of time since we were greenlit and we haven't been added into the store. 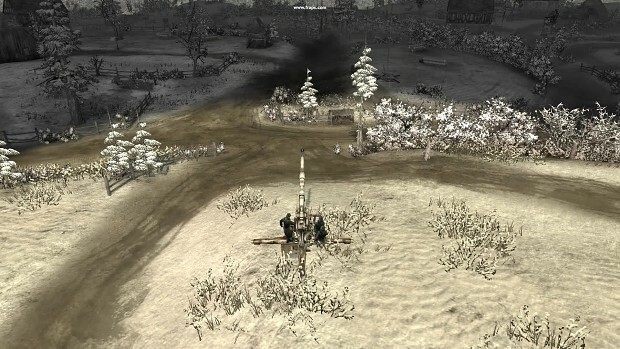 Perhaps you lost hope because The Great War 1918 was the first mod released even if Eastern Front was the first mod greenlit. But the problem is, mods don't run correctly in Steam at the moment and it is what Relic is working to get right. 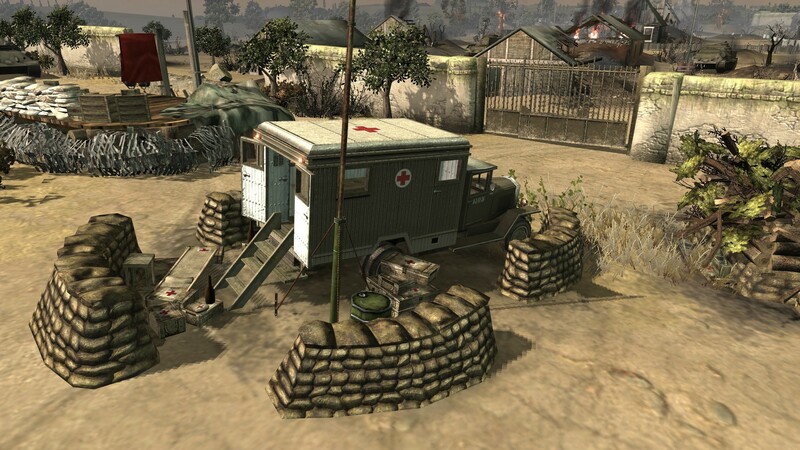 Thanks to their support we have hope that soon this problem will be fixed and we will release Eastern Front on Steam. We still stand on the decision to not release the mod on Steam until these problems are fixed because it will only cause troubles to every other mods around. In other words, it means we are really close to get on Steam, so stay tunned! We are still working and discussing about when we could release the next patch and what additional content will have, and by additional content we mean the first reward tree for Ostheer. 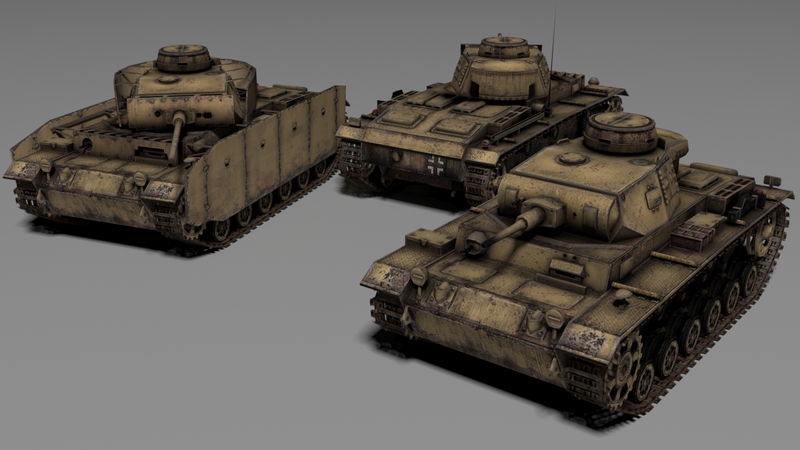 We are still working upon a few suggestions and discussions made about some problems we had for the current public version, so, if you want to know what we are discussing feel free to check our forums. 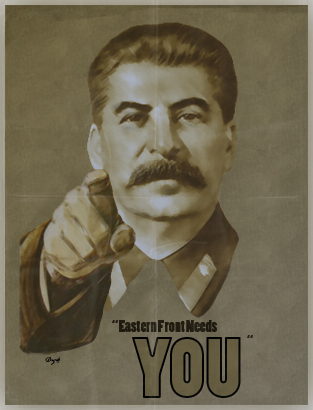 The time goes on, and we are again at the last month of the year, so, it is time to vote comrades! Last time we got the 4th. position, let's climb to the top! 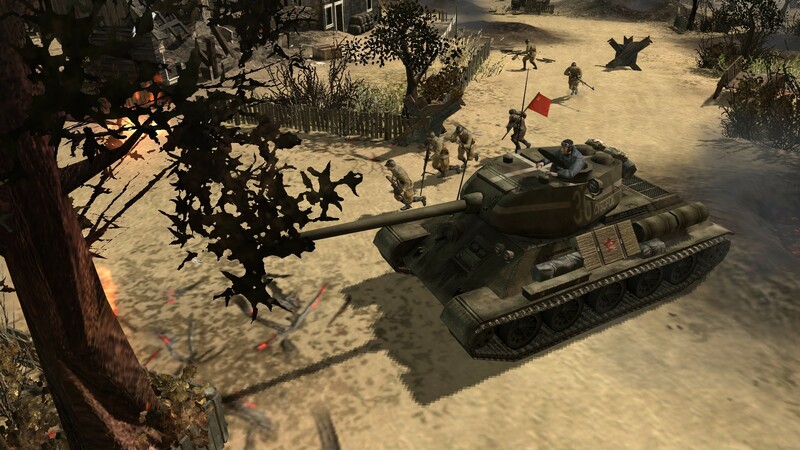 Vote on the top 100 mods: In the first stage only these most popular mods will pass. 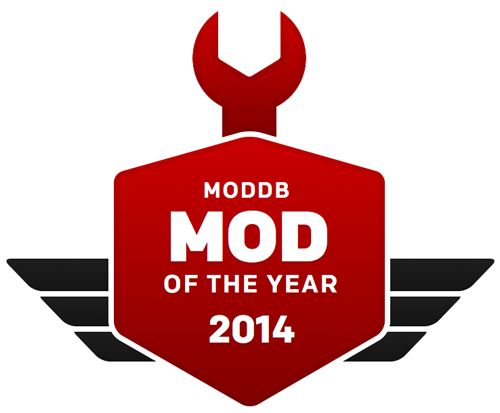 Vote for the top 10 mods: Once a mod pass the top 100 part, the next step is to win the top 10! At last but not least, we are proudly to announce a new member of the crew, who will be working on orginizing events and posting articles for Eastern Front, his name is Floki. 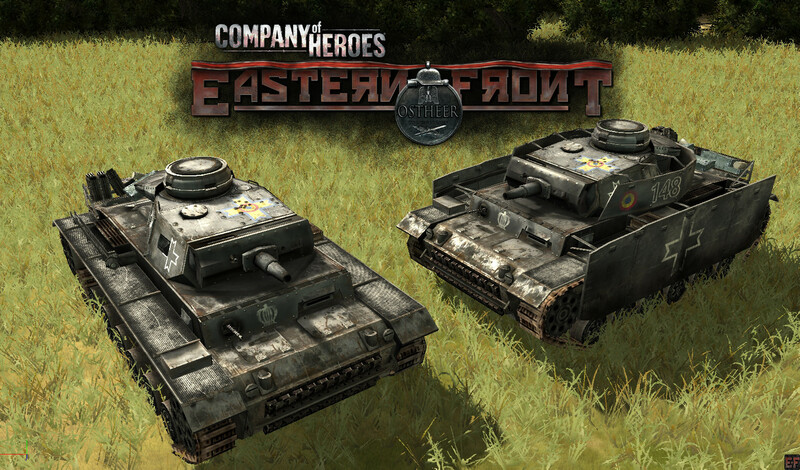 If you are part of our Steam group of Eastern Front, you would have noticed events being announced since the last weekend, so expect we become a bit more active than before in our interactions with the community. If you are not, feel free to join us! 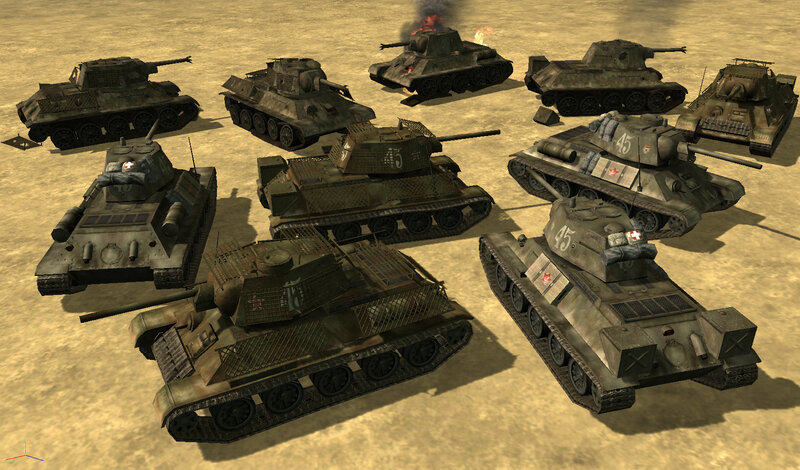 Eastern Front / MOVED: problem !!! We figured out the TEMP Folder Full Error. 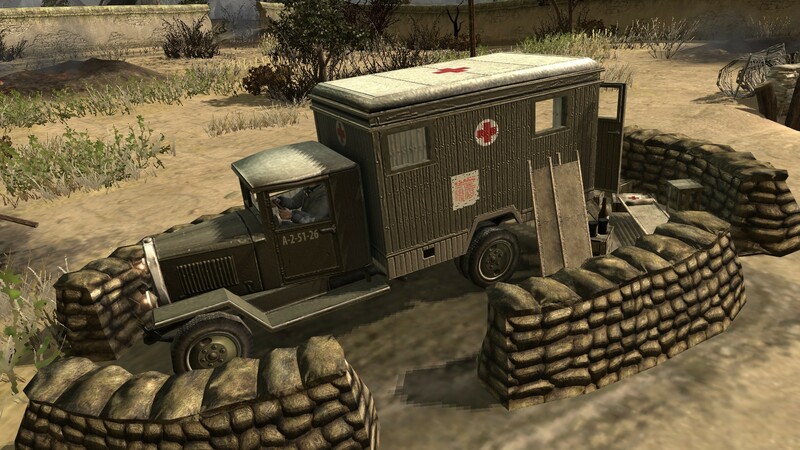 *What map were you playing? *What were you doing when the crash occurred? Try to be as accurate as possible! *Do the crashes happen during every or almost every game? *What game mode were you playing? 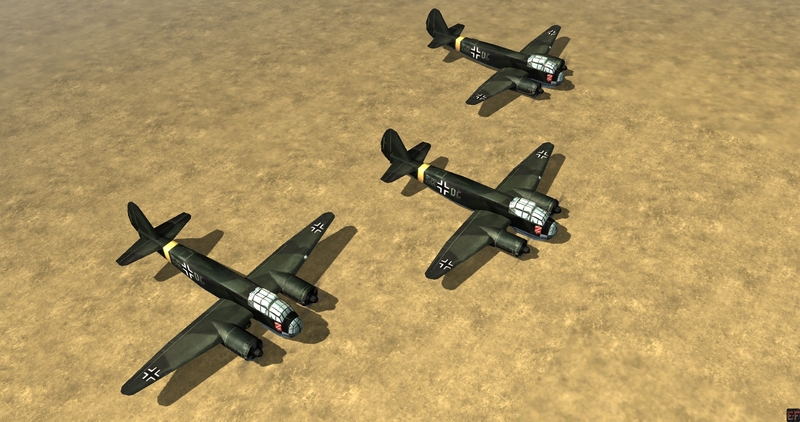 Doing this helps us figure out the cause of the crashes easier, and fix them. Posts without any relevant information will be deleted. Since we only support the Steam version, I updated the paths where the logs should be found. We do not offer support for bugs found in versions which use a different directory for storing their logs. 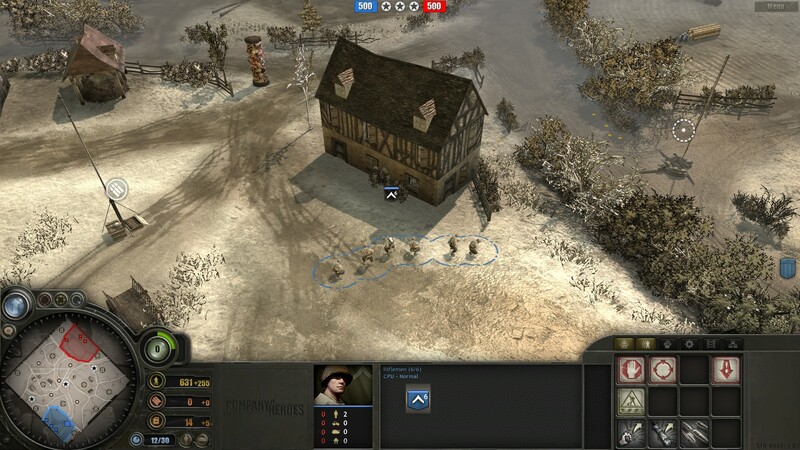 Also, we only support the latest Steam version of Company of Heroes. If you are going to post the content of the log files instead of attach them in the topic, make sure you use the code tags! One last thing I'd like to add as note: IF YOU ARE PLAYING THE NO-POP CAP MODE AND YOUR GAME CRASHES, YOU SHOULD NOT BE LOOKING FOR TECH SUPPORT FROM US, BECAUSE WE DO NOT GIVE SUPPORT FOR THAT VARIANT OF THE GAME. 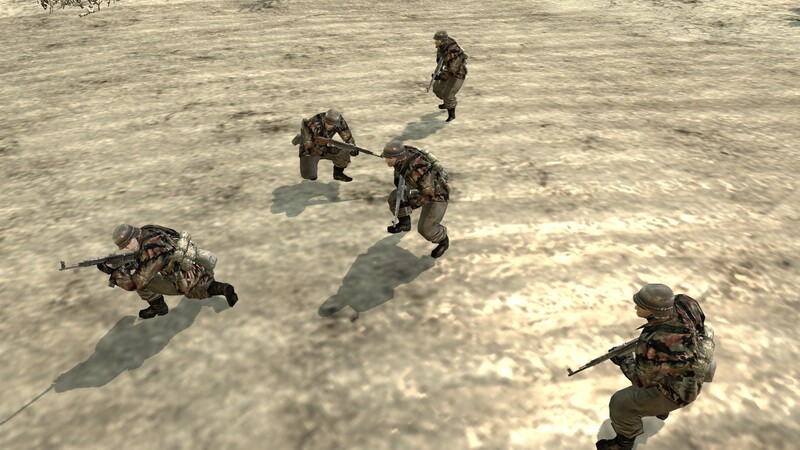 That game-type was included due to popular demand, and since CoH Essence engine cannot support the stress of handling too many objects regardless if you use vanilla factions or not, specially if you are fighting against AI(regardless of faction) we can't do anything about it. 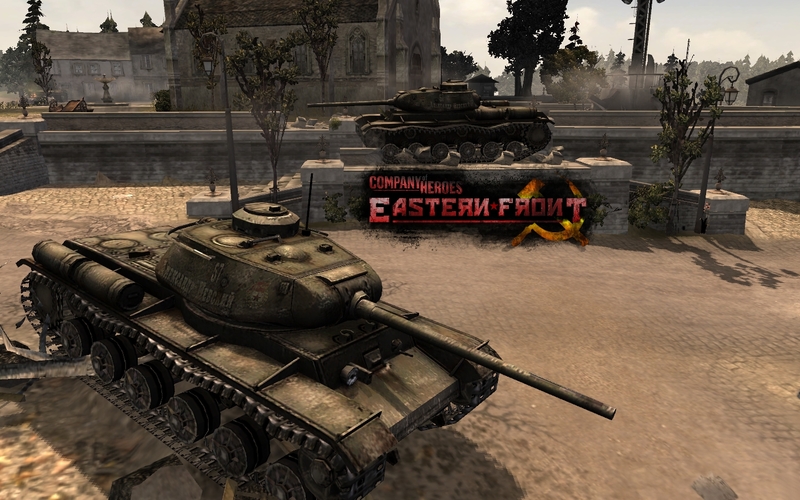 At the moment we are still working on bringing Eastern Front on Steam. 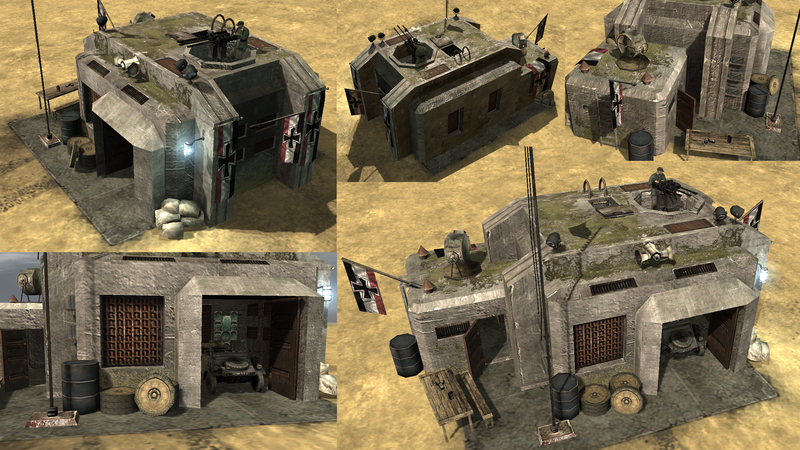 So far we have some build to test, but unfortunately Eastern Front cannot run as a Steam game at the moment. 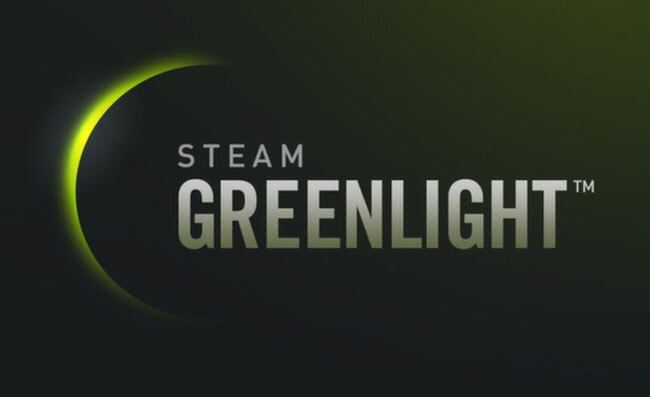 Thankfully Relic is helping us with this and they have supported us during all the Greenlight process. Let's hope they bring good news to us soon . 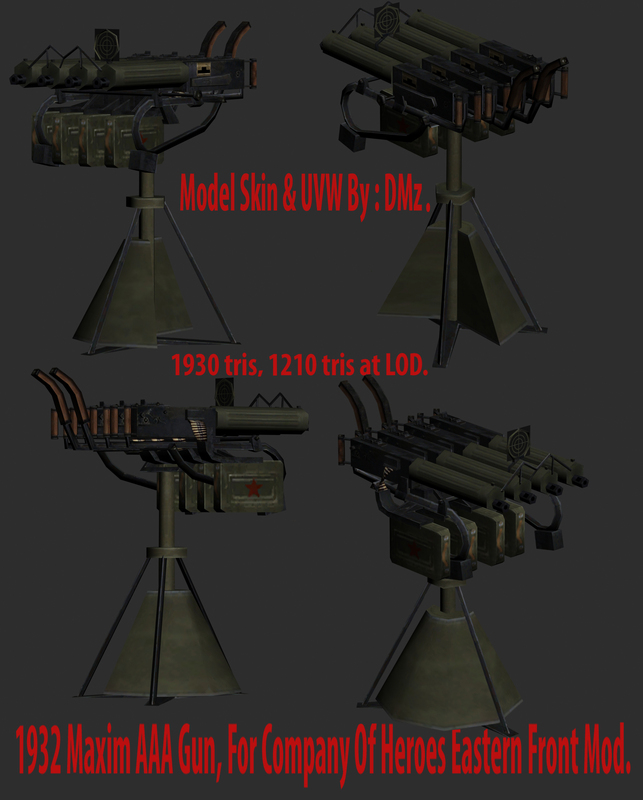 We are still working on some of the missing models for Ostheer and Soviets, hopefully we will have them for the Steam version. Which new models we are talking about? 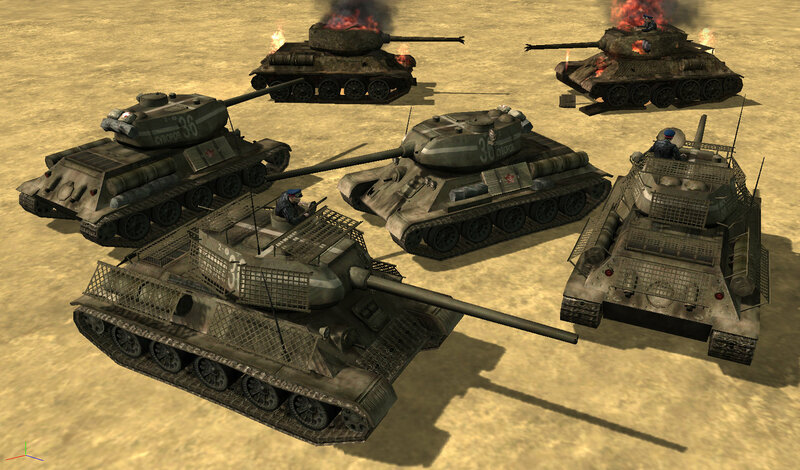 The new T-70, T-60, T-34/76, T-34/85, SU-85, SU-100, SU-76, Katyusha. 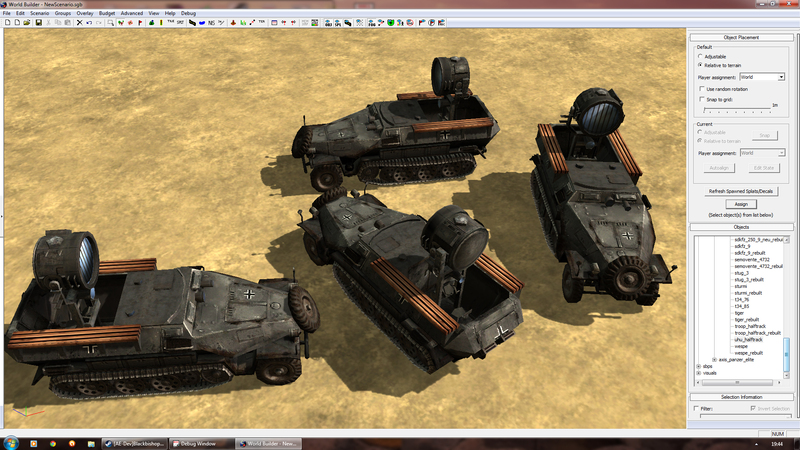 We have other models to fix but these ones have priority. 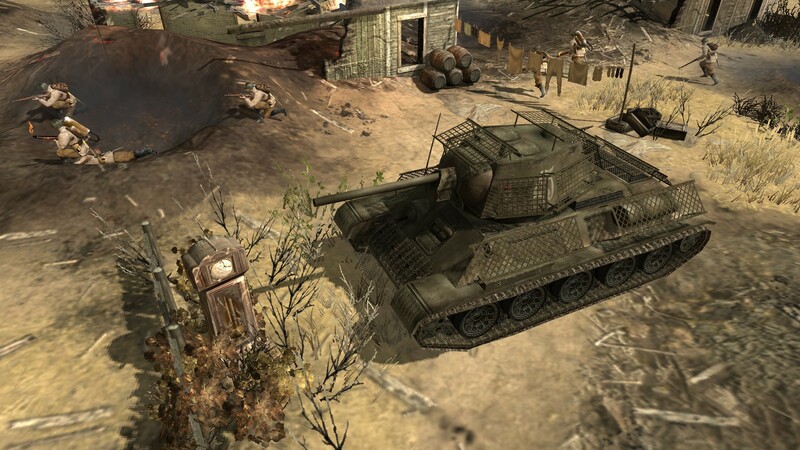 At the moment we only have a full installer version and it is waiting authorization in ModDB so, to some of you it will appear as unavailable for a little while. Since it is a full version, the launcher is not going to detect it. We will add the mirrors as soon as we can.